National Event Day Screening: 1984 (1984) at The Avon. About The Program : On April 4th, 2017, movie theatres across the country will be participating collectively in a NATIONAL EVENT DAY screening of the movie 1984 (starring John Hurt who, sadly, just passed away). This date has been chosen because it’s the day George Orwell’s protagonist Winston Smith begins rebelling against his oppressive government by keeping a forbidden diary. We hope that through nationwide participation and strength in numbers, these screenings will galvanize people to come together at the crossroads of cinema and community to foster communication and resistance against current efforts that undermine the most basic tenets of our society. Proceeds from this screening will be used for the purposes of underwriting future educational and community-related programming. About Ruth-Terry Walden : Ruth-Terry Walden was born in Los Angeles, California to parents who were from East Texas (Longview) and Georgia (Augusta) respectively: part of the Great Migration that occurred during the 20th century. While their educational opportunities were limited due to the circumstances and times that they were born in, they instilled in her a lifelong reverence for education and learning, which, as an attorney and educator she imparts each day to every one of her students. For the past fifteen years she has worked in Connecticut as an educator, and for the past twenty-four years has practiced law in New York, with an emphasis on education, community outreach and youth advocacy. She is the recipient of three NEH teacher fellowships, one Gilder Lehrman teacher fellowship, is an advocate for and participant in TAH / Democratic Vistas, and an integral member of the Avon Theatre’s Advisory Board. 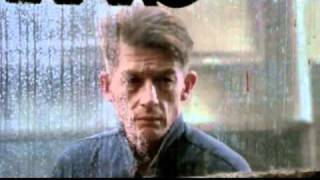 Adapted from George Orwell’s classic dystopian novel by writer-director Michael Radford, 1984 stars John Hurt as Winston Smith, a drone in a totalitarian state dominated by the supreme figurehead, Big Brother. Attempting to break out, he has an affair with Julia (Suzanna Hamilton), a rebellious sensualist, but then has to deal with O’Brien (Richard Burton), a powerful tool of the state. Winston and Julia are tracked down by the Thought Police and "re-educated" into loving the State.